Deem Workfource transforms corporate travel with predictive and personalized solutions designed to streamline every aspect of your journey. Watch the video below to find out how. First, select your destination and travel dates. Deem returns a continuous scroll of available flights sorted by company policy, preferred suppliers, and negotiated rates. Deem consolidates inventory from global sources so you don’t need to scour the web for the best deal. You know it’s right here ready for you to select. All of the important information is right where you need it, just hover over the icons for luggage details, wifi-availability, on-time performance, and more. You’ll even see branded airline fares you can’t find on other online travel agencies like Southwest’s “wanna get away” deals. Not sure which fare type is best? Just click on “compare fares” and you’ll see the included benefits by fare type. You can also pin seats as you shop, and they’ll be waiting for you when you’re ready to purchase. And once the flight is booked, you don’t need to worry about checking in. Deem does it for you automatically. And if you have an unused ticket in the system, Deem will flag it so you know where and when to use it. Your itinerary details automatically transfer to the hotel search section, so finding a room for your trip is easy! 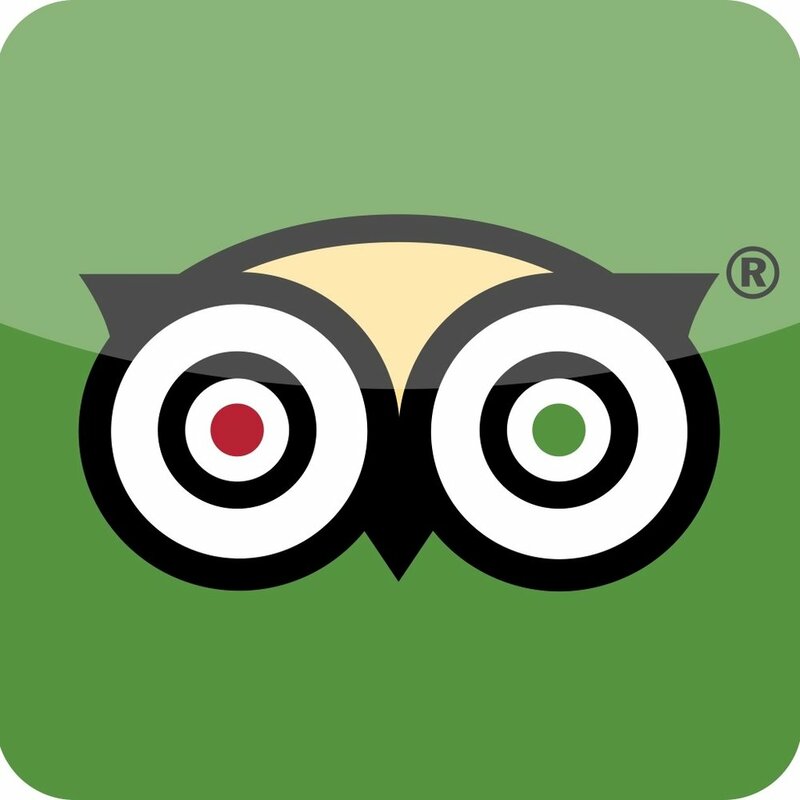 You can browse photos of the accommodations and read recent TripAdvisor reviews before making your choice and selecting your preferred room type. All the information you need to make an informed choice is right in the pop-up window. If you need a rental car for the trip, Deem matches your airport location. All you need to do is pick the vehicle type and your preferred supplier. When you’re ready to purchase, Deem automatically applies your unused ticket and your flight, meal, and payment preferences. If you prefer a personal pick-up from the airport, you can book car service with just a few clicks. Your itinerary information syncs automatically to your calendar and updates dynamically as you make changes. Email and mobile notifications ensure you’ll never miss that flight or meeting again! If you’re on the go, you can use Deem’s mobile app to search, book, and manage your travel, just like you can from the desktop. Everything you need is just a tap away, including flight options, hotel accommodations, car rental, and car service. You can download the app now from the Apple app store or Google Play. A suite of travel booking and management tools for the business traveler, travel manager, travel management company and supplier. 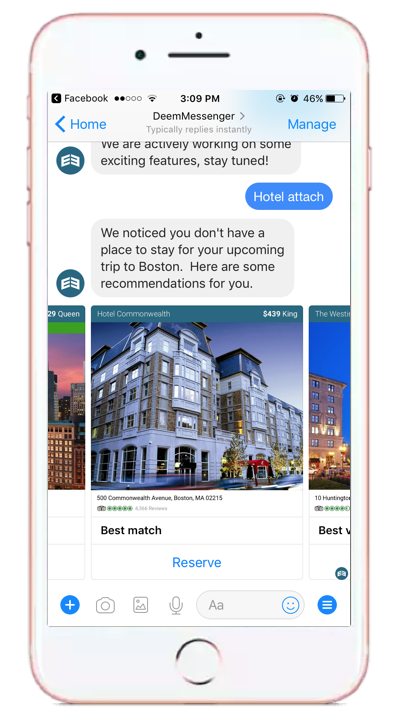 An artificial intelligence and machine learning technology that predicts preferred hotels for travelers based on history, preference, and +200 million real-time sentiment data points. Deem Facebook Messenger connects travelers to their corporate Deem Work Fource platform and profile within the Messenger app, accessible on any device, anywhere. 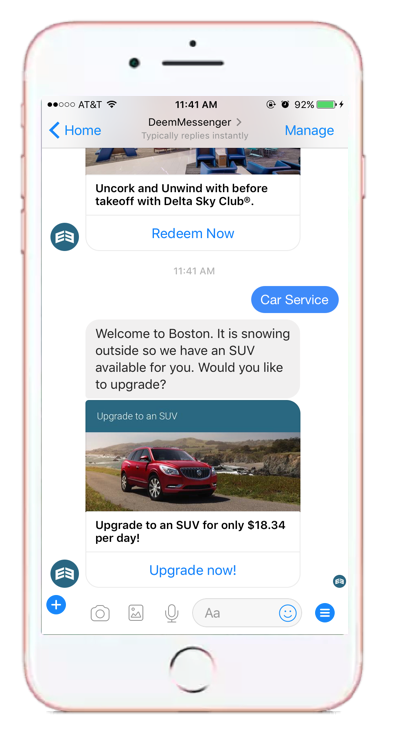 Deem Facebook Messenger supports the traveler when and where they need it. Learn more. The largest affiliate network for the chauffeured transportation industry, Deem Affiliate Connect membership enables operators to send reservations to and from their affiliates via an electronic, cross-platform reservation exchange network. Learn more. Connect with travelers through the Deem Work Fource platform. Your content, presented in the booking flow, when travelers are ready to book. Access to the worlds largest affiliate of car service operators and all the booking and operation tools you need to connect with travel managers and travelers. Designed to create consistency between online and offline Passenger Name Records (PNR) for travel management company back-office, fulfillment and reporting needs. 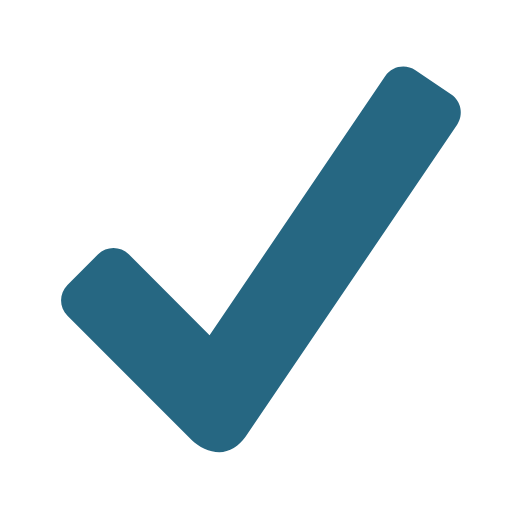 A configurable API that connects to any external expense platform such as ChromeRiver, Concur or Expensify. Access to unique and discounted content including Alaska Airlines, Booking.com, Virgin America, Southwest Airlines and SilverRail. Localized content across 224 countries, in 15 languages, including low cost carriers and rail. Exclusive access to Google ITA flight search and Southwest Direct Access. A platform that intelligently predicts when travelers need to review travel plans, adjust their bookings and attach hotels or car service. A robust policy engine that’s a snap to use. Supports complex cost control, including interactive pre-trip approval, seamless workflows, dynamic flagging and contextual messaging. An automatic and dynamic calendar entries are created with every travel booking - accessible online and offline, via mobile, sharable and connected to an address book. Fully integrated with Exchange Server, LDAP, iCal and Google Calendar. Allows for customizable messaging, based on individuals or groups. Messages can be assigned to content or behavior, such as out of policy bookings and real-time emergency or weather challenges. Full integration with meetings platforms, including Cvent. Onboard users through Deem’s single sign on to reduce implementation time and apply customized policies. A modern online booking and management system for desktop and mobile usage which offers content, policy, and approval workflow for travelers, travel managers and travel management companies. Managing business travel can be a frustrating experience for travelers and corporations alike. Travelers want an efficient and personalized booking experience; companies want to increase compliance and adoption. Deem Work Fource provides a dynamic and seamless platform to address those pains - all of it optmized for the specific needs of Canadian travelers. Dynamic calendar entries for every travel booking. that automatically update with changes and travel disruptions. 10,000+ ground transportation providers and a variety of car service options with direct links to GDS systems. Travel Fusion and Booking.com are just a few of the supported content integrations. Unique Pre-Trip Approval and notification workflows provide the flexibility to review 100% of bookings and act on those that are out of policy. Full integration with meeting platforms such as Cvent and Lanyon. Booking and managing travel should be easy, but we all know: sometimes it’s not. If users need help, Deem HelpMe is there to guide them through, step-by-step right inside the platform. HelpMe is a personalized guidance and training solution built into Deem’s Work Fource online booking and management tool - and now available for admin users. HelpMe alerts users of new features, simplifies the complexity in travel and provides additional guidance through the configuration experience. It walks them through navigation obstacles and unfamiliar areas. HelpMe is designed as a self-service tool, so administration users can make configuration updates in minutes. HelpMe even learns and adapts as it goes! The tool analyses user behavior and identifies where users need help. HelpMe can offer smart tips and direction overlays. If a user wants to update the corporate policy, help menus point them in the right direction. That’s it! There is nothing more they need to do. Travelers will soon see the HelpMe guided help in their Deem Work Fource application. They will receive help from the beginning of their travel search, all the way to confirmation and managing their reservations. HelpMe alerts travelers of new features, things to look out for and updated policy guidelines. It walks them through navigation obstacles and unfamiliar areas. HelpMe is designed as a self-service tool, so travelers can complete their bookings faster and travel managers and agents receive fewer requests and complaints. Deem gives business travelers broad access to flights anywhere in the world their business takes them. With Deem flight capabilities it’s easy to book flights, make changes to existing itineraries and ensure all trips meet company policy. Deem's access to hundreds of top airlines around the world gives business travelers a wide range of options for booking, even at the last minute. Companies save money, employees save time and more business gets done. All Business. No Trip. Unparalleled air fare search provides more options, in a shorter time frame than GDS-only-based solutions. Dynamic sorting allows travelers to find their preferred option quickly. Access to inventory from more than 700 leading airlines worldwide including content from Travel Fusion. Travelers can easily view multiple fare categories, airline branded and promotional fares for each flight option, allowing them to compare prices and restrictions, and choose the fare with the best value and convenience. Automatic notification of flight changes and cancellations via text or voicemail. A powerful tool that completely automates the use of unused tickets. Deem car rental options get travelers where they need to go. Book car rental options in flow and apply policy to ensure compliance and cost savings. Deem works with the top 30 rental car vendors worldwide, including Enterprise Rent A Car, National, Alamo, Hertz and Budget. Travelers can search and book car rental options right alongside their flight and hotel. No need to access a different system or wait for their ticket to be processed. They’ll have the entire trip booked and confirmed in minutes! 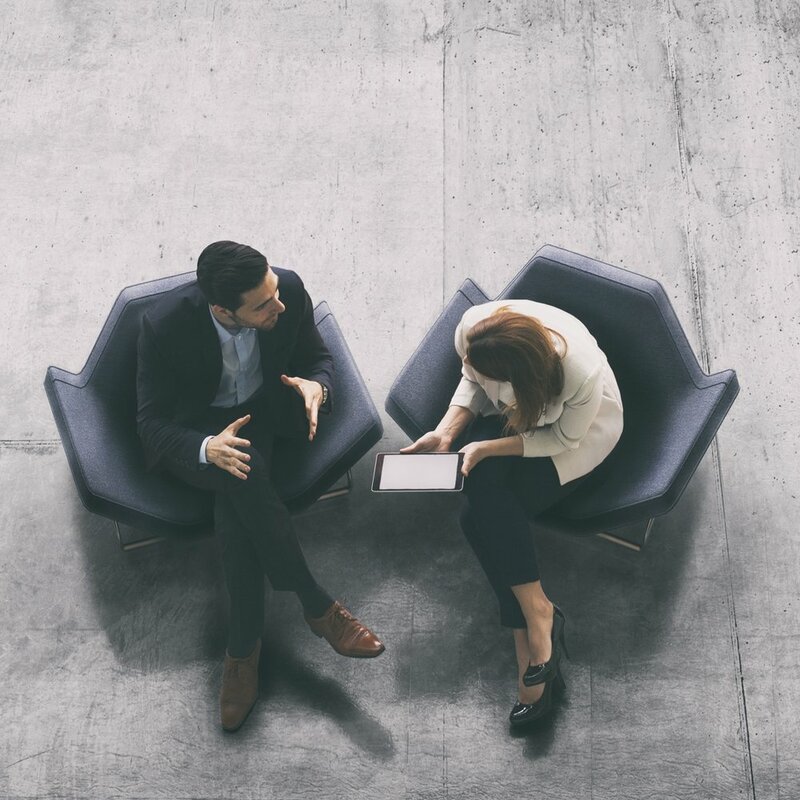 Connect your corporate account for direct billing with your negotiated rates. Rail travel remains one of the most reliable, efficient modes of transportation for getting employees to the meetings that matter most.